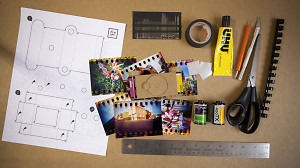 If you don't fancy a spot of DIY or gardening this weekend, why not construct a Sprocket Pinhole Camera? What's A Toy Camera And How Do I Use One? Pick up a toy camera and get creative. Here are a few tips to get you started.